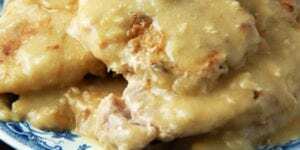 Crock Pot French Onion Soup - Recipes That Crock! Do you love French Onion Soup? 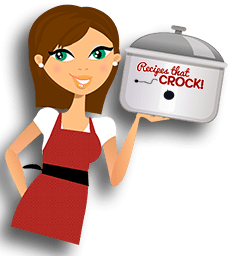 Did you know it is super easy to make in your slow cooker? This Crock Pot French Onion Soup recipe will have you whipping up your favorite restaurant soup whenever you want for a fraction of the price! Note: We use referral links to products we love in our posts. Cris here. 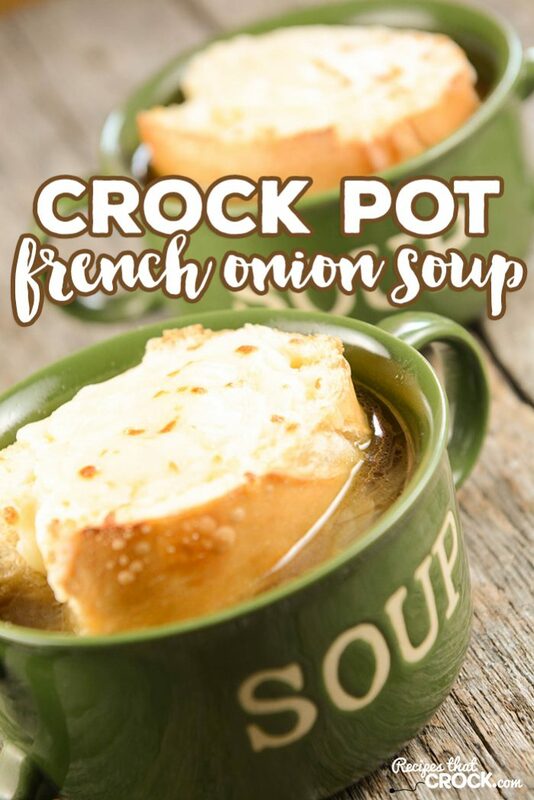 I LOVE me some Crock Pot French Onion Soup. 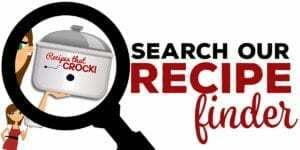 So when a reader wrote me to ask for a crock pot French onion soup recipe I suddenly realized we didn’t have one on the site! Today we are remedying that! 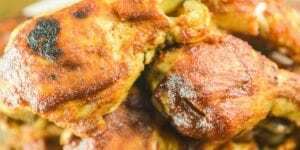 The recipe we use in my house is an adapted version from Gooseberry Patch’s 101 Slow Cooker Recipes with my mom’s cheesy garlic bread on top! Melt 1/4 cup butter in a skillet and cook onions until soft. Then sprinkle with flour, sugar, salt and pepper and mix well. Pour into slow cooker (we used this one). Next, stir in your broth and sherry. Then ladle your soup into 6 oven-safe soup bowls. Next, butter your bread slices and sprinkle lightly with garlic powder. 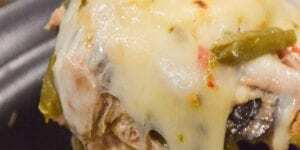 Place the bread slices in each bowl and cover each liberally with cheese. Next broil until cheese is golden and carefully serve (bowls will be very hot). This recipe calls for 3 cups of onions sliced. I had 3 medium to large onions and that easily made 3 cups. I loved using my food processor to slice the onions VERY quickly. Little known fact about me… I used to HATE food processors. THIS one totally made me change my tune. I love how easy it is to use. I crocked this up in my Cuisinart Multi-Cooker which has a browning setting that allowed me to sauté my onions in the until before switching it over to slow cook. If you don’t have a multi-cooker you can just cook your onions in a skillet and then transfer to any 4-6 quart slow cooker. Soup had a good flavor even though I didn’t add sherry since I didn’t have any. I wish I read the comments before making the soup. It tasted a little too sweet for me. it doesn’t need the sugar. Next time I will make it without. Very easy to make. Thank you ? 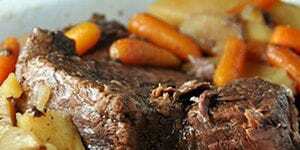 Can you cook this on low for up to 8 hours? Or is it best to cook it on high? I always have canned chopped green chilies, canned tomatoes, canned mushroom soup. There are so many types of onions…what types do you suggest to use or does it not matter? 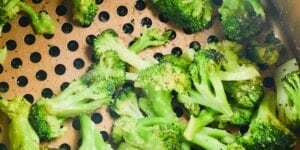 Do some produce a stronger flavor? We used sweet yellow onions. I would imagine that different onions will likely bring out different flavors. I have prepared this recipe. I didn’t care for the addition of the sugar. Yes, the addition of sugar helps to carmelize the onions, but I prefer the soup without the sugar. Hi Virginia- Thanks for the feedback. We used sweet onions in our soup so the added sugar really didn’t bother us, but this is very good to know for folks who would prefer not to add the sugar. French Onion Soup is one of my favorite soups and this recipe made it easy to make and enjoy. Thank you for the recipe. 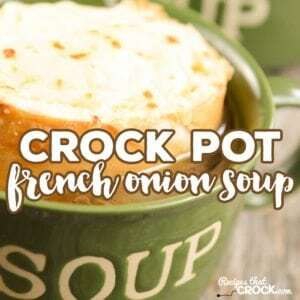 French Onion Sop is one of my favorite soups and this recipe made it easy to make and enjoy. Thank you for the recipe.